I saw your ad on Craig's List for the Beautiful golden Angels Clock http://toronto.en.craigslist.ca/bra/hsh/1504272578.html . I just thought you should know that you are using the world "beautiful" incorrectly. wow ! 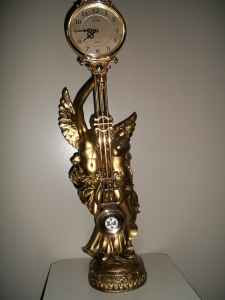 I cant believe that the beautiful golden angels clock is for just US 30 dollars. its a unique clock which is hard to find nowadays with such a cheap price. I also like selling stuff on Craigslist and for that I usually use craigslist posting service and the service is great.